A while back I had seen these gorgeous looking Lucent Magique blushes on the makeup shelves and I had been wanting to try them ever since. I am so glad L'Oreal let me try it! Up today is a product I have had since a long time with me. I have no idea why I never got down to sharing it here :/ I am about to be on the move in a few days and I was just going through my stash deciding the stuff I need to take and I realised that this little can should be up on the blog too! It is such a handy thing to have and I think it is a must buy if you come across it anywhere. Elavo Toilet Seat Sanitizer Spray. Now, I have gone through bottles and bottles of the rose water and picked up the Lemongrass Facial Mist for a slight change sometimes. So, till a couple of years back I was not into blushes at all..I always felt that they made me look too made up and weird. Fast forward to today, and if I am going out (except to the hospital everyday) I have to have to apply a blush. My blushes aren't very bright, they mostly lean towards a neutral side...soft pinks, earthy tones is what I like most. I picked the Colorbar Cosmic Rose 2 years back (right before my graduation). It was my first blush and a few days back I finally hit pan! (I never thought I would be able to). It has been a long time since I have been thinking of trying out a dry shampoo. Finally I gave in to temptation and bought the L'Oreal Fresh Dust Dry Shampoo 3 weeks back. Afterall, a dry shampoo is a super handy product to have in your stash! Don't you agree? A few weeks back I had shared with you all the Revlon Kissable Balm Stain in Honey. So, continuing my finally found love for chubby lip crayons, up today is the L'Oreal Paris Glam Shine Balmy Gloss in Pomegranate Punch. Now I have not tried the Clinique Chubby Sticks, but I have tried the Revlon ones (which are more affordable) and now the Balmy Gloss which is one of the most affordable lip crayons in the market. I remember the few occasions when my Mom brought out good ol' henna to colour her hair. I dreaded those days, and when it finally used to arrive, I was left wishing that my olfactory senses became dysfunctional! The smell of henna is not something I can stand. So with all those fascinating ads on the TV with glam ladies swishing their glossy hair around, saying no ammonia & rich colour, I knew it was time to migrate :) It's not something my Mom is using for the first time, we just never covered it on our blog. But now we have, and here we go! 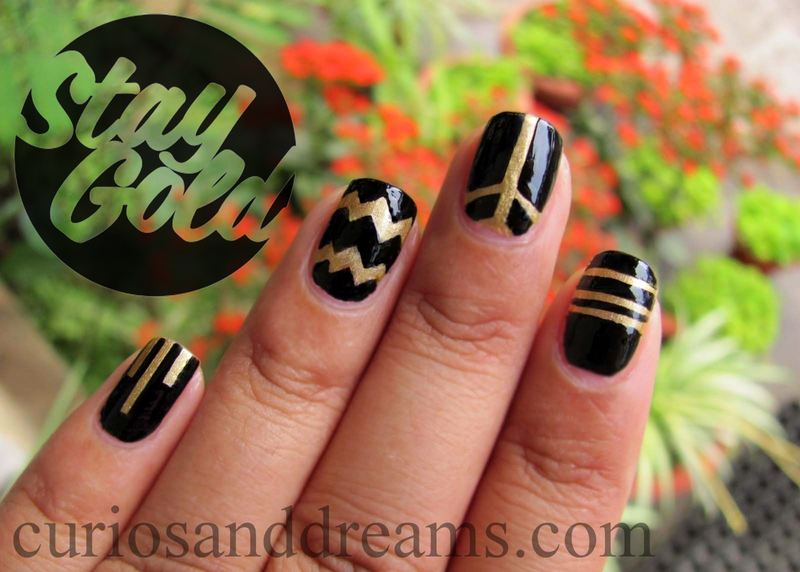 It has been a while since I shared a nail art tutorial with you all, and since you girls always seem to like them, here is another one for you :) It isn't that difficult and I hope you all like it! This is a post that has been looooooooong due! Papaya has been in my stash since ages now, I had first showcased it in the 3rd edition of Hooked Onto :D when I was honestly obsessed with it. Now, after all this time, Papaya is still one of the most reached out for lip gloss in my kit, the other being Mirrored Mauve by Maybelline. Ladies, meet Iconic 3, Makeup Revolution's best selling product (so they claim). The sensible packaging, as well as the brand name sealed the deal for me. Eager to know why I love it so much? Read on! Firm and Tone Your Sagging Skin with Palmer’s Firming Lotion! Say goodbye to "droopy dog" skin! 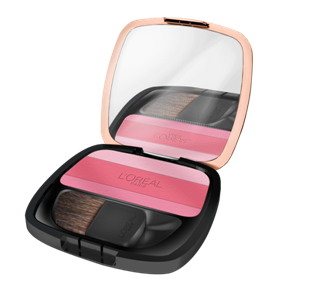 Give your skin a blush of light with the new innovation from L'Oréal Paris. The Lucent Magique palette consists of 3 gorgeous hues that merge with the original skin tone, adding a natural blush to your skin. Play with the three different shades and create a unique blend that sculpts your face perfectly giving it a glamorous 3D glow. The fine shimmer particles embedded in the product capture the light making you look beautifully radiant. Off late I have bought quite a few things...blaming the online shopping addiction! :P It makes things so easy sometimes. One of the products that was on my list for a long time now was the Revlon Colorburst lipgloss in Aubergine (Smriti is very fond of the shade Papaya by the way). So imagine my delight when I found it on a discount...I had to get it! And I have been loving it a lot since the day I got my hands on it.